Lady Curzon made the following disposition of her property. 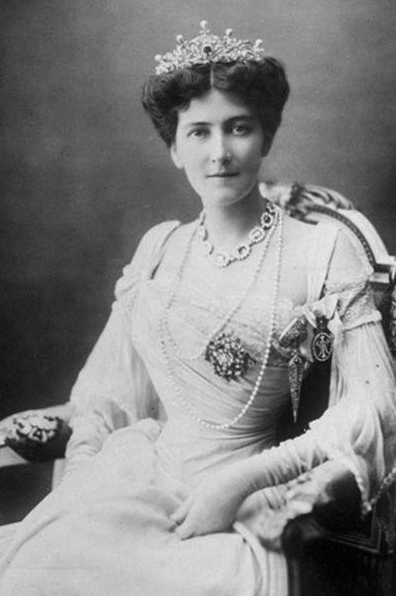 Four rows of white pearls, a large tiara made by Boucheron , a second diamond tiara made by the Goldsmiths' Company, a diamond neckalce made by Watherston, and all her old lace to her husband in trust for her eldest son, if any, and failing such son to her husband for life, with remainder to her daughters . 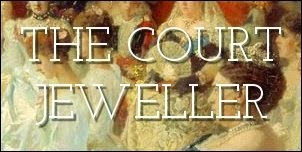 She left the diamond star tiara and a diamond brooch and pendant given to her on her marriage by Lord Scarsdale (her father-in-law) to her husband for life, with remainder to follow the title of Curzon of Kedleston. Her ruby and diamond ornament, ruby and diamond clasp, ruby and diamond ring, turquoise belt, turquoise buckle, turquoise crescent, sapphire and diamond bracelet, and all her other jewels, plate, ornaments, and personal belongings she bequeathed to her husband. The residue of her estate she left to Lord Curzon, desiring that he would give mementos of her to members of her family and to Lord Scarsdale. 1. Mary Victoria Curzon, Baroness Curzon of Kedleston, Vicereine of India (1870-1906), was born Mary Victoria Leiter in Chicago, Illinois. Her father was one of the founders of the business that became the famous Marshall Field department store. She married George Curzon, who was later created Baron, Earl, and then Marquess Curzon of Kedleston, in 1895. They traveled to India at the turn of the century when George was appointed Viceroy of India, and they organized the massive Delhi Durbar celebrations of 1902 to mark the coronation of King Edward VII. Mary is reportedly one of the inspirations for the character of Cora in Downton Abbey. 2. Lady Curzon wrote her will just before her arrival in India, but she didn't die until 1906, after a series of illnesses. She was only 28 when she made the will; she and Lord Curzon had two daughters at that point, and the will reflects her hopes that she will eventually give birth to a son. That never happened. The Curzons had one more child, another daughter, while in India. 3. 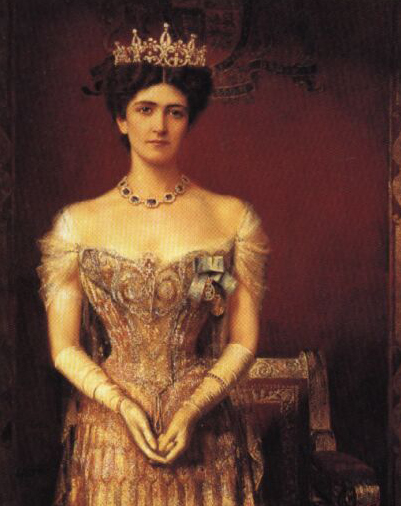 Lady Curzon took an enormous cache of jewels with her to India, befitting her position as the Queen's stand-in. In his book on the history of Cartier, Hans Nadelhoffer describes the jewel collection taken by Mary Victoria to India as a “state trousseau.” The Boucheron tiara described in her will was a part of that collection. It was made for her by Boucheron in 1898, and it featured exaggerated diamond fleur-de-lis motifs set in platinum. 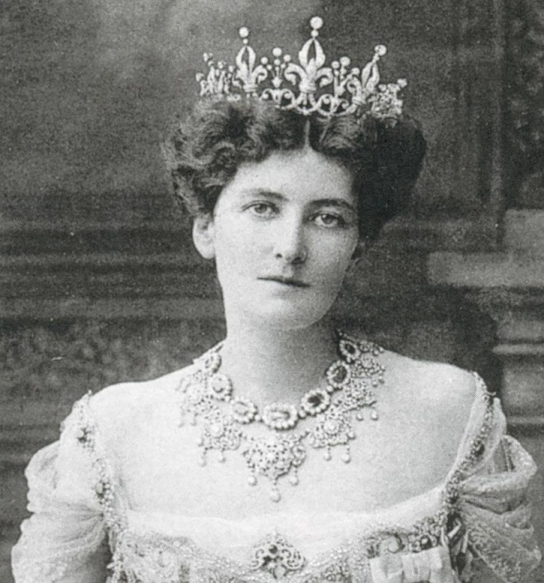 For a ball following the Delhi Durbar in 1902, which marked the coronation of Edward VII, the vicereine paired the Boucheron tiara with her famous “peacock dress,” made for her by Worth. 4. The Curzons had three daughters: Irene, who inherited the title of Baroness Ravensdale from her father; Cynthia, who was the first wife of the notorious British fascist Oswald Mosley; and Alexandra, known as "Baba," who was a member of the circle of the Duke and Duchess of Windsor.